Sources told Reuters this week that Renault had uncovered suspect payments to a Renault-Nissan business partner in Oman while Carlos Ghosn was CEO. YOKOHAMA, Japan — Nissan advisers are blasting the automaker's lax corporate governance for letting ousted Chairman Carlos Ghosn run the company like an emperor, bestowing himself with dubious pay and perks while being "deified" by subordinates too afraid to object. That scathing assessment, released in a report last week by a committee hired by Nissan in the wake of Ghosn's shocking arrest in November, will form the basis of sweeping reforms that Nissan wants to implement by June to decentralize control at the company and improve its oversight. The report offered a point-by-point takedown of the ex-chairman, claiming that Ghosn lacked "ethics as a manager" and that the "root cause of the misconduct was the concentration of all authority in Mr. Ghosn." But even as the committee recommended reforms, echoes of Ghosn's all-powerful sway at the company continued to reverberate globally last week. A news report said that Nissan's alliance partner Renault remains interested in pushing through a full merger with Nissan — a touchy issue that Ghosn championed at the end of his tenure there, and one that may have caused merger-averse Nissan executives to ally against him last year. The news report, from the Financial Times of London, claimed that Renault is also interested in reaching beyond its alliance with Nissan and Mitsubishi to take on larger acquisitions, possibly including Fiat Chrysler Automobiles. That unconfirmed assertion also echoes Ghosn's power plays of the past. While CEO of Nissan in 2006, Ghosn publicly argued for bringing a U.S. automaker into the Renault-Nissan alliance, at one point holding unproductive discussions with a financially distressed General Motors. Rebuffed by GM, Ghosn insisted at the time that a tie-up with a U.S. automaker would continue to make sense for Nissan and Renault. The Financial Times cited several unidentified people it said were familiar with the French carmaker's plans who claimed Renault could resume Ghosn's merger push within the next 12 months. Reached for comment at his home last week, Nissan CEO Hiroto Saikawa, long resistant to a full merger with Renault, responded to the report by saying that a Renault-Nissan merger "is not a subject now. … It's not today's topic." As for making a play for FCA, Saikawa said that the newspaper report was the first he'd heard of the idea. If true, such a push would illustrate the influence that Ghosn's strategic thinking still has at Nissan and its partner companies, even as Nissan tries to cast away what it brands the "negative aspects" of his leadership. For years, Ghosn preached the path of ever-bigger global volumes as the best way to defray the rising development costs of new technologies such as electrification and autonomous driving. But some industry observers remained skeptical of merger prospects last week. Max Warburton, senior analyst at research brokerage AllianceBernstein, savaged the purported Renault plan as "misguided, unmanageable and ultimately improbable." "This idea is half-baked, politically almost impossible to deliver, and even if achieved, the resulting company would be unmanageable," Warburton wrote in a report. "If we ever were to see RNO-Nissan-FCA come into existence, we'd be bearish on its prospects." But Warburton added that FCA management is still following a script put forward by its late CEO, Sergio Marchionne, who — like Ghosn — argued that consolidation is the only way to survive in the capital-intensive automotive industry. Warburton cast doubt on whether Exor, the corporate entity that controls Fiat, is likely to sell off FCA. But some believe FCA is ripe for an acquisition or merger — if not through Renault, then possibly with Renault's chief French rival, PSA Group. PSA CEO Carlos Tavares has stated in recent weeks that he is open and interested in mergers. Tavares was previously a top executive under Ghosn at Nissan. Philippe Houchois, an equity analyst at Jefferies in London, said that time might be working against Renault. Houchois interpreted last week's unconfirmed news about Renault to mean that Renault first wants to get its relationship with Nissan in order, and only then — perhaps in 18 months — would it be in a position to take a step toward FCA. But by then, Houchois noted, "There's no guarantee that Fiat will still be available." Fiat Chrysler's improved balance sheet and still-growing Jeep brand have strengthened the automaker's prospects, and Exor isn't anxious to exit the auto industry, said a person familiar with the company's thinking. While there's no pressure to cash out, the holding company is open to a deal that could give it a competitive boost, said the person. First on Nissan's wish list is to re-examine the 20-year-old cross-shareholdings between Nissan and Renault. The companies are bound in a complicated, lopsided web; Renault owns a controlling 43.4 percent of Nissan, which owns a 15 percent stake in Renault. Meanwhile, Nissan has a controlling 34 percent stake in Mitsubishi. One person familiar with Nissan's current thinking said talks on tweaking those holdings could begin at year end or early next year. But first, the partners must re-establish trust. "We know the current stabilization is tentative unless you solve the shareholding question, because it's distorted," the person said. "So, rebalancing should be quite necessary." Figuring out how to do that is no simple task. Tensions over Ghosn's plan to bind Renault and Nissan in an "irreversible" tie-up became public after the his arrest on allegations of financial misconduct. The pressure appeared to ease last month when Renault, Nissan and junior partner Mitsubishi agreed on a consensus-based, four-person board to run the alliance, replacing Ghosn's one-man rule. But just as the alliance was preparing to celebrate its 20th anniversary on March 27, the vexing issue of mergers was back in the headlines. Last week, Nissan made it clear that it first wants to get its house in order. The report by the seven-person Special Committee for Improving Governance put forth the clearest account yet of what went wrong at Nissan — and proposed 38 fixes to prevent it from happening again. Although the panel's co-chairmen said the mandate wasn't to assign criminal or legal responsibility or pin blame on individuals, the findings clearly faulted Ghosn and his close aide Greg Kelly, the American Nissan director indicted as Ghosn's co-conspirator. "Mr. Ghosn was in a way deified within Nissan as a savior who had redeemed Nissan from collapse, and his activities were deemed impenetrable territory," the report says. "On the other hand, Mr. Ghosn and Mr. Kelly would transfer or drive into resignations directors, officers and employees who would object, raise questions or not follow directions." The report describes the alleged falsification of documents dealing with compensation, and a scenario in which Ghosn supposedly had full freedom to single-handedly decide pay for directors and top executives, including himself. Checks and balances failed, it said, because Ghosn coalesced key administrative authority in a few trusted lieutenants. Ghosn disliked robust debate, it said. And until June 2018, when two independent outside directors were added to Nissan's board, board meetings typically took less than 20 minutes, the report said. "Even though some people had doubts about the instructions from Mr. Ghosn and Mr. Kelly, they were unable to object or report their doubts to anyone else," the committee wrote. The report also detailed Ghosn's alleged use of company funds for personal benefit. Among the report's allegations: Ghosn channeled Nissan money into housing in Rio de Janeiro and Beirut; Nissan paid advisory fees to Ghosn's sister despite "no deliverables"; and Ghosn misused the corporate jet and company charter jets for himself and his family, it said. The panel based its conclusions mainly on Nissan's internal probe. The committee concedes it did not interview Ghosn or Kelly about the allegations, both of whom deny wrongdoing. A spokesman for Ghosn said the allegations in "this so-called independent 'report' will be revealed for what they are: part of an unsubstantiated smear campaign against Carlos Ghosn to prevent the integration of the alliance and conceal Nissan's deteriorating performance." He added that Ghosn acted at "all times with the full authority of the board and its shareholders, and his paramount goal was achieving value for Nissan's shareholders." 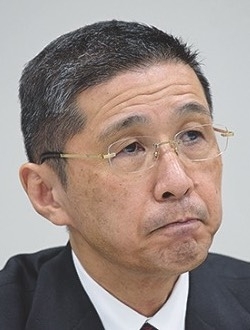 Indeed, the governance panel noted that current CEO Saikawa had signed off on some documents authorizing the post-retirement treatment for Ghosn that is now under legal scrutiny. Looking ahead, the panel proposed steps toward better governance. Chief among them is the abolition of the company chairman position, establishment of new committees to break up power and an infusion of external directors across Nissan's management. Top Nissan directors, such as the CEO or COO, should not also be Renault or Mitsubishi employees. Nissan should maintain a succession plan and review it annually. 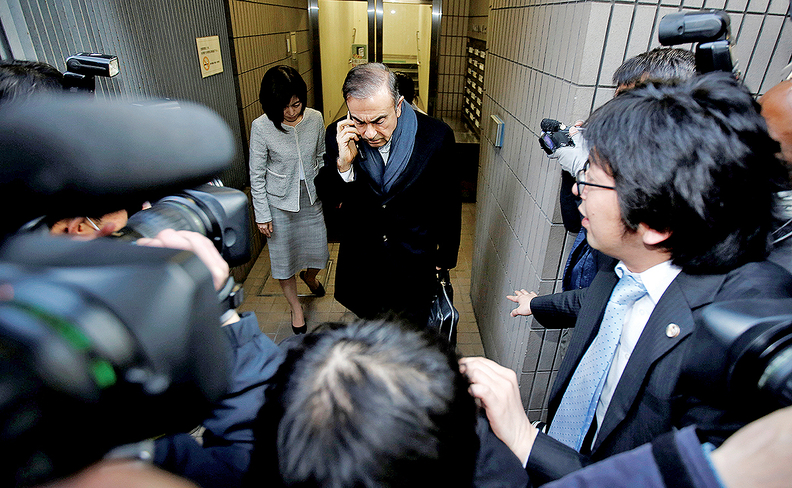 Nissan's so-called CEO Reserve, a fund used at the CEO's discretion, should be abolished. "The final report indicates that the committee looks at the future of Nissan positively," Saikawa said. "But at the same time, they have made tough recommendations. We will take them seriously and act on them sincerely." Naoto Okamura and Peter Sigal contributed to this report.